This is quite a statement from the US president, who almost two years ago derided Moscow as nothing more than a “regional power” that “is threatening some of its immediate neighbors, not out of strength but out of weakness,” in regards to his belief that Russia had ‘annexed’ Crimea from Ukraine. In November, US Defense Secretary Ashton Carter said Russia was challenging “American preeminence” and Washington’s so-called “stewardship of the world order” as Moscow and China reassert themselves on the international arena as serious military powers. Since responding to a request to intervene in the Syrian conflict by that country’s president, Bashar Assad, Moscow has been pounding Islamic State (IS, formerly ISIS/ISIL) and other terrorist groups with daily sorties carried out by its jets since September 30. 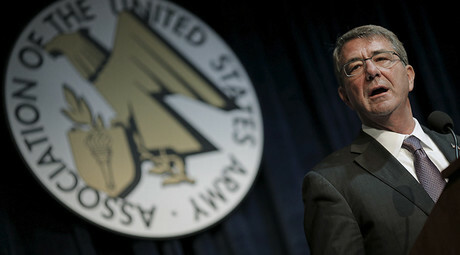 The move took Washington by surprise and the commanding general of the US Army in Europe said he was astonished by Russia’s capacity to deploy its troops to Syria. "I was one of those people surprised about their move in Syria. I’ve been watching them in Syria for some time now, but I thought they were so stressed with what they were doing that I didn’t realize they had a capacity also to pick up and move into Syria," Lt. Gen. Ben Hodges said in an interview with the Defense News weekly in October, as cited by Sputnik. In December, Russia targeted IS militants in Raqqa with Kalibr land-attack cruise missiles launched from a submarine in the Mediterranean Sea. The 3M-54 Kalibr missiles were launched from the Kilo-class diesel-electric submarine ‘Rostov-on-Don’, Defense Minister Sergey Shoigu said. The Syrian conflict has given Moscow the chance to show-off some of its latest hardware in active combat for the first time. Amongst Russia’s fighter jets at the Khmeimim Air Base in Latakia is the Su-35. 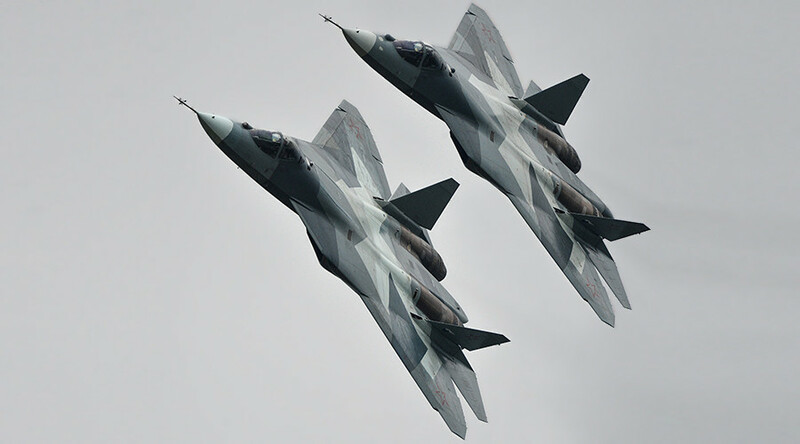 In the air, two Su-35s can provide a 360-degree field of view with coverage ranging to 400km, a spokesman for the Russian forces said. He also mentioned that the Su-35 is a multirole fighter jet capable of providing air cover for the strike aircraft and strike surface targets as well as subsurface ones. 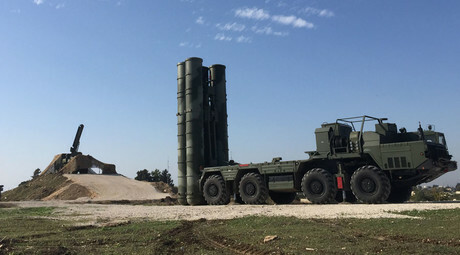 Additionally, in November 2015, Russia deployed a unit of its cutting-edge S-400 air defense systems to the base after one of its Su-24 fighter jets was shot down by the Turkish Air Force in Syrian airspace. S-400s are designed to ensure air defense using long and medium-range missiles that can hit aerial targets, including tactical and strategic aircraft as well as ballistic and cruise missiles, at ranges of up to 400km. Obama claims Moscow risks getting stuck quagmire in Syria, however, according to Brian Becker of the antiwar coalition ANSWER, nothing could be further from the truth. “Russia’s intervention, not the US, is turning out to be the decisive international factor aiding the SAA [Syrian Arab Army], which has done the bulk of the fighting and dying… to stop ISIL,” he told RT. According to Becker, Russia’s intervention has “irreversibly changed the military dynamic” in Syria, with both IS and the militants backed by the US, Turkey, Saudi Arabia and Qatar losing ground since October 2015. Washington seems more upset than pleased at these reversals. It is not only Russia’s intervention in Syria, which has made Washington reassess Moscow’s military might, as Russia continues to roll out cutting edge battlefield technology. The Armata tank was officially unveiled at the Victory Day celebrations in Moscow in 2015, while Russia also released plans to create a new heavy transport aircraft, capable of moving heavy army equipment to anywhere in the world in as little as seven hours. While the transport aircraft, dubbed PAK TA is only likely to be built by 2024, the US is still in awe of Russia’s ability to move troops and hardware quickly. "The ability [of Russians] to move a lot of forces very quickly is the thing that worries me the most about what they can do. The lack of indicators and warning that we have and their ability to move a lot of stuff real fast – that's not a good combination," Hodges said in October. It is not just the Russian’s who are proving to be a match for the US, with US officials “amazed” at Chinese naval capabilities. In 2015, the Chinese Navy had more operational diesel and nuclear attack submarines than their American counterparts.